When in bear country, it is a good practice to be armed. You must accept that you’re no longer at the top of the food chain when there are bears around. While most bears don’t want any trouble as they usually leave the area when they sense the presence of humans, this is not always the case. You should be prepared to defend yourself or your loved ones if you get into a dangerous situation. 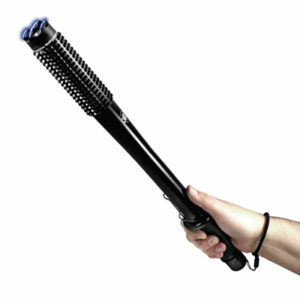 An excellent non-lethal weapon should be part of your defense plan. Prevention is better than confrontation. Don’t let a bear approach you or attack you. 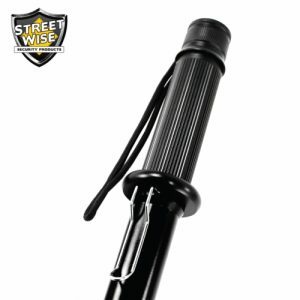 Make sure your non-lethal self-defense tool is immediately accessible. The most important thing to do is to practice with your weapon. 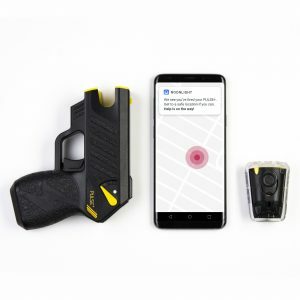 Remember that everything will happen in 3 or 4 seconds and you should feel confident enough with your self-defense product to use it effectively. Use your brain, take a few necessary precautions, and carry a bear pepper spray as well as stun guns all the time. 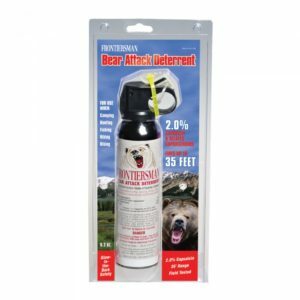 Our bear sprays are primarily used as a non-lethal defensive tool in the wilderness. 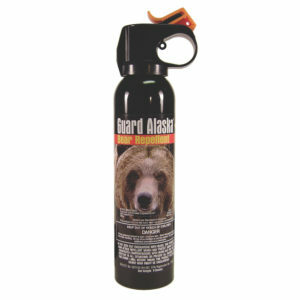 Bear spray is proven very useful when working a black bear at distances of less than 10-20 feet (3-6 meters). It is suggested to have a holster, and the spray should be on you all the time, especially in areas where there’s high bear potential. Practice how to get your bear spray out fast. Make sure that you can get to your bear spray in time. When you encounter a bear at close range, don’t turn, screamed and run. If you do this, the bear will be on you instantly. Don’t panic and react the way you have been practicing. Get that bear spray out as fast as possible and use it. You should aim for the eyes and nose of the bear to be effective. After the use of bear spray, you need to clean the ground and objects affected on the spray as it may retain attractant properties to bears for days or even months. Canisters that have been fired should also be cleaned or stored in bear-proof locations. Bear spray can cause permanent damage when used inside homes or vehicles. It should be treated as explosive and extremely flammable when transporting. You need to transport it in an appropriate carrier, such as a fully sealed, enclosed container. Furthermore, you need to make sure that the safety is securely in place and will not fall out. 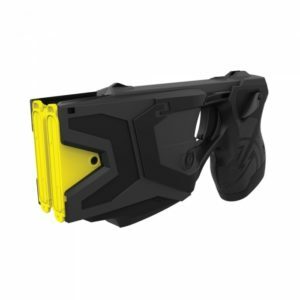 Our police Taser guns are also effective against grizzly bears. They are primarily designed to stop human attackers, but they can also be used in grizzly bears. They provide park rangers, hunters and hikers with the ability to disable bears loitering near the campsite. 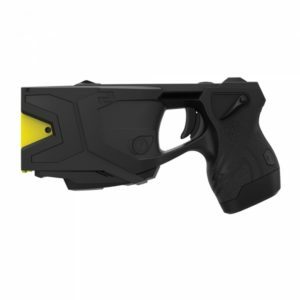 With a Taser pistol, you’ll have time to get to the safety of a car or trail lodge. 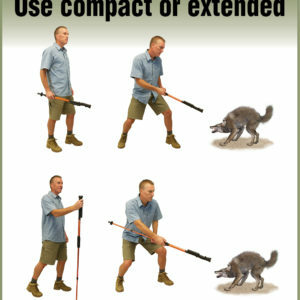 It can incapacitate larger wild animals but won’t kill them. You are not going to have an issue with animal rights advocates after using the Taser weapon against the bears. 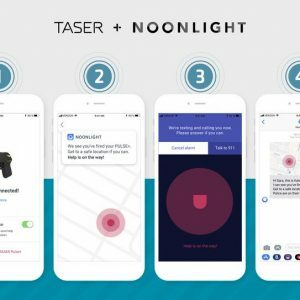 Use only these non-lethal self defense weapons when necessary. Do remember that bears are rarely aggressive and research shows that most dangerous encounters are the result of human stupidity or desperation of the bears. It means that the people are mostly the instigators and not the animals. Even if you have an animal-felling Taser, don’t challenge the bears to attack you. Let them live in the habitat peacefully while you enjoy exploring the wilderness.